We eat these muffins a lot. Sometimes we eat them everyday for breakfast for weeks on end. This is definitely not like eating cake for breakfast (well it is, but I don’t care). 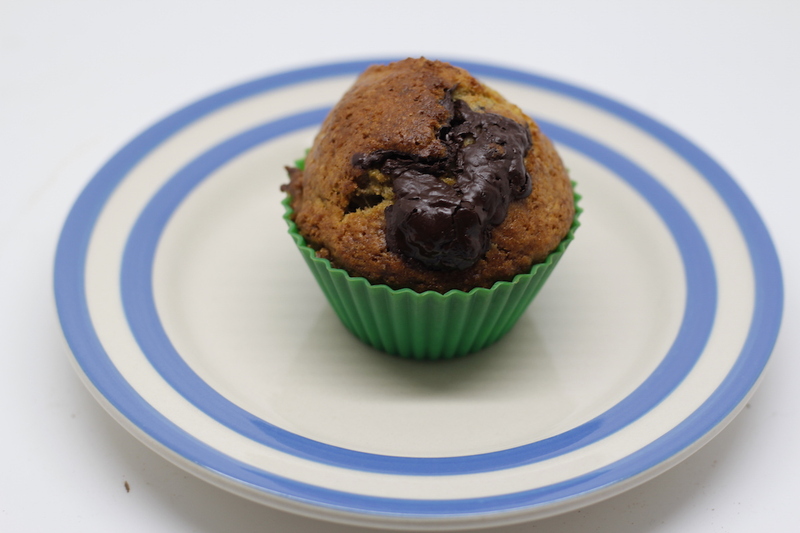 These are very healthy muffins as they are full of spelt and wholemeal flour, bananas, walnuts, eggs and dark dark chocolate – they have a tiny bit of sugar and oil in, but I might experiment with reducing this, or maybe not as I don’t think vegetable oil is bad for you although I do agree sugar isn’t the best thing. Once my bees are producing I will use honey instead. 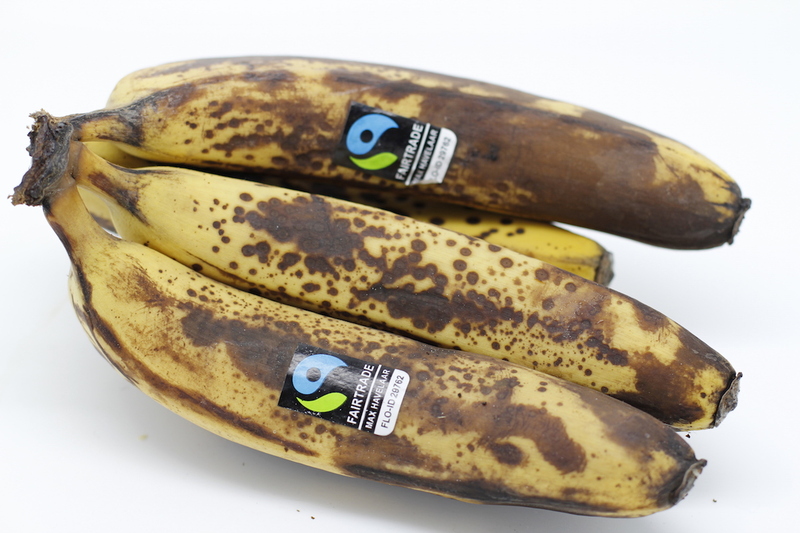 I make them in bulk when I have forgotten about our bananas and they are very ripe. 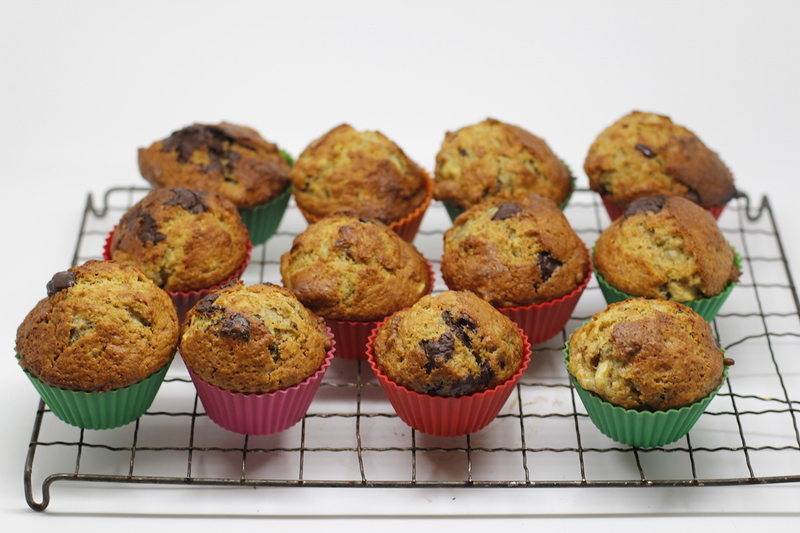 You can freeze the muffins (and bananas) – they freeze very well. 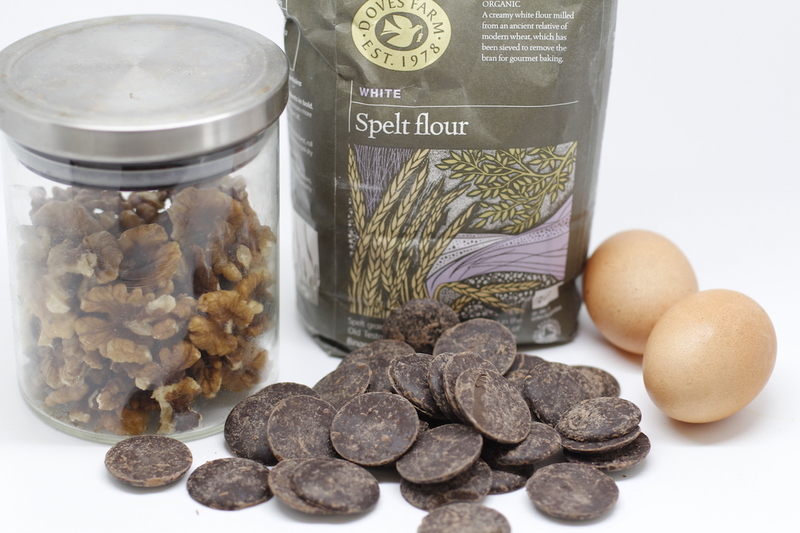 Spelt flour, banana, walnut and chocolate chip muffins: 125g of spelt flour, 125g of wholemeal flour, 125m l of vegetable oil, 4 or 5 bananas (you can’t have too much banana) 100g sugar, 2 eggs, handful of walnuts, handful (or two) of Montezuma dark chocolate buttons, 1/2tsp bicarbonate of soda, 1tsp of baking powder. Mash the bananas. Beat the eggs with the oil. Put the flour, sugar and raising agents in a bowl. Mix in the oil and egg. Add in the banana. Add in handful of nuts and chocolate. 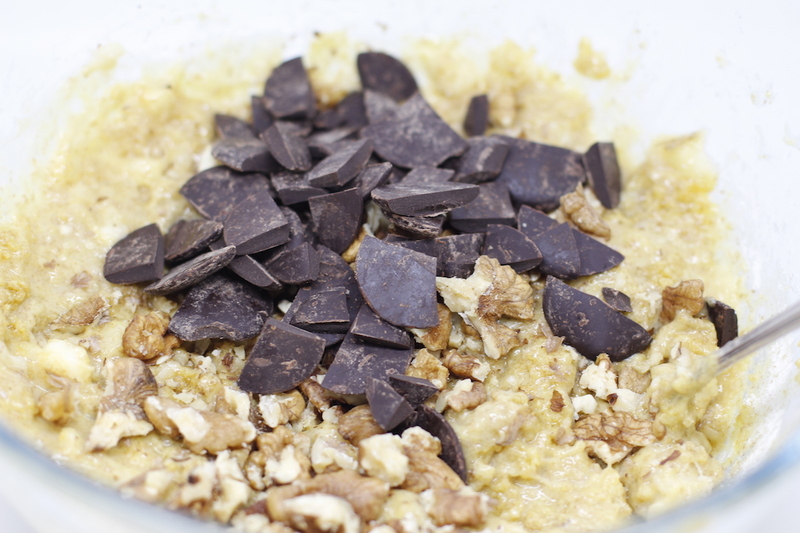 Seriously, this takes about 10 minutes to make – they are fantastic and a great way to start the day! N.B. Did you see? I made a massive effort to take nice photos for this blog post instead of my usual rushed rubbish ones. Normally I forget to take photos when I am in the middle of cooking! Photos are fabulous, Claire! 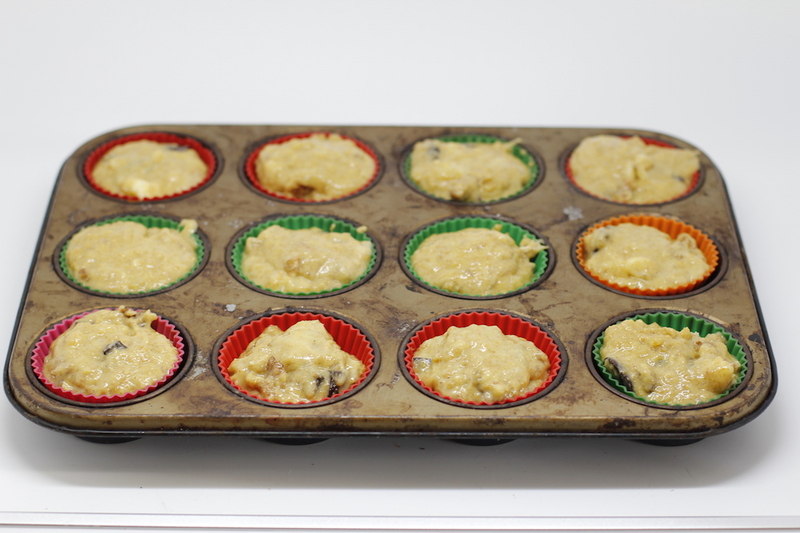 A detail question as we in the U.S. don’t always have access to what you use in the UK…what is the muffin tin made out of? It looks like marble on the top of the metal. Is it? If not, what? And are you using silicon muffin cups vs. paper ones? And as one who thinks cake, cookies, pie, are all breakfast foods I salute your muffins as a healthy choice, chocolate especially. Great way to start the day! OOOH ME TOO!! I’ve had those muffins and they were delish! Especially because Claire made them and I didn’t have to do anything but eat them. One day, when James and Claire come to visit us I’ll make my version for her…. Oh, yes please – I am packing my bags already …..